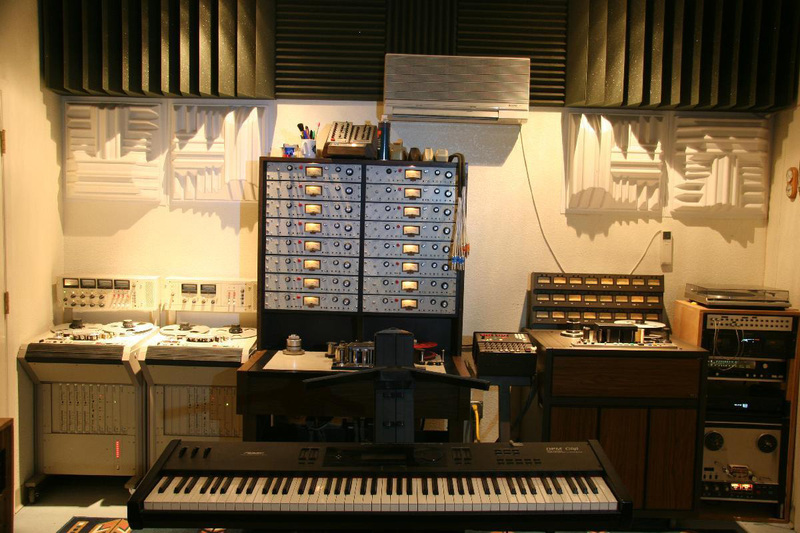 A well equipped, sonically neutral control room is essential for any recording project and our room has been designed and outfitted to meet those requirements. The room is pie wedge shaped with a 10 foot front wall and a 16 foot back wall. To avoid acoustic reflections, the control room window is placed on the right and the front half of the room is covered with sound absorbant foam by Aurlex. The back wall is acoustically reflective with diffusion and bass traps providing an optimal listening environment. We provide a choice of digital and analog recording platforms. A 32 channel Avid HDX ProTools system provides a solid foundation for digital recording. If you prefer the sound of analog, you can choose from 24 and 16 track multi-tracks all the way down to 2 track half-inch tape decks. 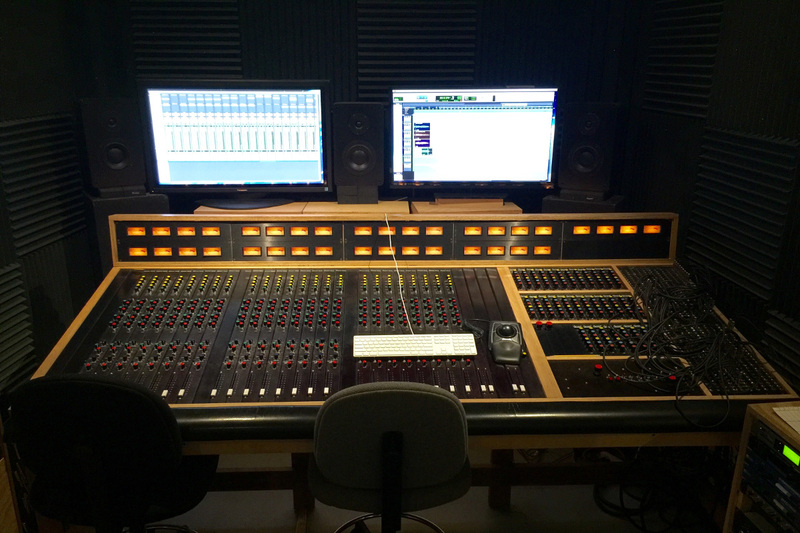 The console is the heart of the control room which is why we chose to custom design and construct our own using the highest quality op-amps and VCA's in the industry. This results in a low noise, high head room board suitable for the most demanding of recording jobs. Each channel has a four band parametric equalizer, compressor and gate for maximum flexibilty. A full compliment of outboard signal processing gear places any sound you can conceive of at your finger tips. EXISTING AUDIO TRACKS OR SESSIONS FROM OTHER RECORDING STUDIOS: No matter where or when or how your existing digital tracks have been recorded, we can probably import them into a new ProTools session, or use your existing ProTools session(s) -- see our complete list of software, plugins and gear below. Digital audio from other software programs should be organized by song and consolidated into separate continuous audio files. We'll talk you through everything when you book your session.